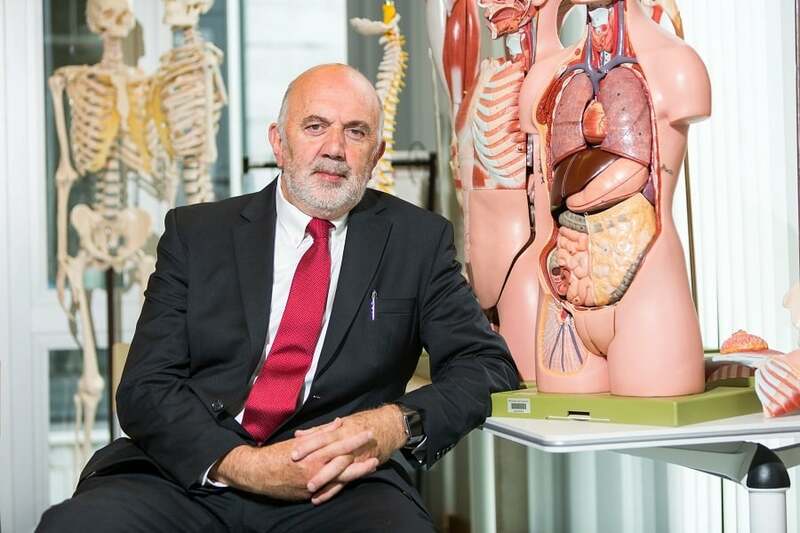 Professor Des Leddin, head of the Graduate Entry Medical School (GEMS) at UL and co-lead author on the study believes it will have far-reaching implications for bowel cancer management worldwide. “The guidelines will, we hope, reduce mortality from this common disease and ensure that screening resources are optimally used. The impact of this work, which was co-led by UL, will be global in reach and will affect screening for a large segment of the population,” he says. Having a family history of colorectal cancer significantly increases the risk of developing it, and appropriate screening programmes can substantially reduce its incidence and mortality. Bowel cancer is the second leading cause of cancer deaths in Ireland, Canada and the US. In Ireland, nearly 60 people are diagnosed with colon cancer each week and 20 die of the disease. On average about one in 25 people will develop the disease over the course of a lifetime. Most people are at average risk of developing bowel cancer and guidelines are in place for screening this population. This group is usually screened using stool sample analysis. A smaller group of people have an inherited genetic abnormality and they are at very high risk of developing colorectal cancer. Guidelines are also in place for this group and colonoscopy is used. Evidence-based screening guidelines did not exist for a third group, those who have a relative with bowel cancer but who do not meet the criteria for a hereditary form of the disease. This new study, which is led by Professor Des Leddin, head of the Graduate Entry Medical School (GEMS) at UL and Professor David A Lieberman of Oregon Health and Science University, Portland, Oregon, sought to fill that gap. “Some people have a close relative with bowel cancer but do not have a demonstrable genetic abnormality,” explains co-lead author of the study Des Leddin, Adjunct Professor of Medicine at University of Limerick and head of UL’s Graduate Entry Medical School. The project is also notable for its scale and global reach. UL, which has an active global profile in cancer research and molecular genetics, expects significant international interest in the findings. Screening reduces the risk and likelihood of death by detecting polyps and stopping the progression to cancer and by finding cancer at an earlier curable stage. Researchers at the University of Limerick, Oregon Health and Science University, McMaster University in Hamilton, McGill University in Montreal, University of Manitoba in Winnipeg, Mayo Clinic in Phoenix, University of British Columbia in Vancouver, University of Toronto, and the University of Ottawa worked with the support of a team of assistants in Canada, the US and Limerick. The research strongly recommends colorectal cancer screening over no screening for all individuals with a family history of the disease or documented adenoma or polyps. In addition, despite very-low quality evidence, the group recommends colonoscopy in individuals with a close relative with cancer as the preferred test. The elevated risk associated with a family history of one or more close family members (parent, children, sibling) with bowel cancer or documented advanced polyps necessitates initiating screening at a younger age (e.g. 40-50 years or 10 years younger than age of the family member at diagnosis). In addition, the research recommends a shorter interval of every five years between screening tests for individuals with two or more close family members with colorectal cancer, and every five to 10 years for those with a family history of one close relative with bowel cancer or documented advanced adenoma compared to average risk individuals. The research also found that choosing screening parameters for an individual patient, should consider the age of the affected close relative, and local resources. The good news is that the risk of getting bowel cancer if the only affected family members are aunts, uncles or cousins is not much different than average and they can be screened according to average-risk guidelines. According to the research, well-designed prospective studies are needed in order to make definitive evidence-based recommendations about the age to commence screening and appropriate interval between screening tests. The article, Clinical practice guideline on screening for colorectal cancer in individuals with a family history of nonhereditary colorectal cancer or adenoma: the Canadian Association of Gastroenterology Banff Consensus or CRC Screening in Those with Family History is available online here. It is due to be published in the next issue of Gastroenterology.